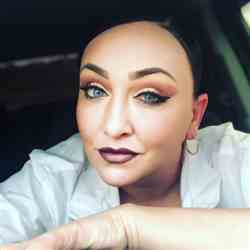 "I love the products I have received so far I just placed another order yesterday based on my first one and also shipping was fast I wasnt expecting it to come that quick." "Price and I love my lip stains"
"I simply love every color that i have purchased and im not a lipstick person but i have been wearing one everyday and getting so many compliments. Please keep doing an amazing job giving us such beautiful palettes. " "Every product I've purchased from Karity so far has been great!" "This product delivers. I will be buying more shades in the future. "